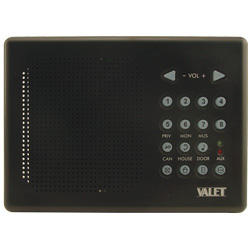 Home :: Intercom Systems :: Valet Intercom Systems :: System One "Select Call"
Fits 3 Gang Box - Easy installation into a standard 3 gang box. 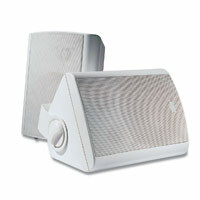 Room to Room Communication - allows you to talk with people in other rooms of the home. Hands Free Reply - When being spoken to from another room, you can respond “hands-free”. 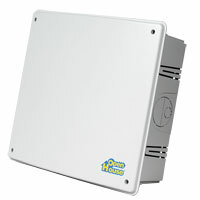 Door Answering Capabilities with 9 Built-In Door Chimes - Allows you to answer the door from any room of the house that has a room station. Person at the door can respond “hands-free”. Group Page/All-Call - Allows you to communicate with all room stations at one time. 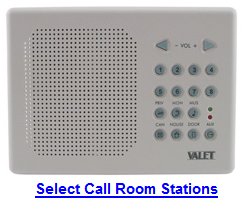 Private Call Function - Lets you talk privately to just one room station. Monitoring Function - Listen in on children playing or sleeping babies without them hearing you. Audio Input Jacks - Allows you to add & control audio output of an AM/FM radio, CD player, tape player, or MP3player. 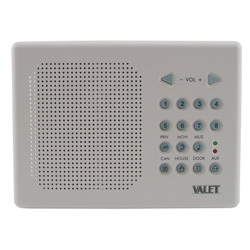 Backlit Keypad - Makes it possible for you to operate the intercom even if the lights are off. 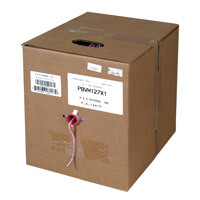 Auto Programming - Once initial programming has been done, room stations will reset in the event of a power failure. Optional Auxiliary Board - You can add home automation. Optional features include operating lights, air conditioning, gate/door release, garage doors, or numerous other devices, all with the touch of a button.